Join the AsianBargainLady and Friends community and help each other save, consume, produce and give back. Acquire the AsianBargainLady shopping bag. If you can afford it, buy it. If you can’t, make your own. Nomo is ABL's adorable and mischievous sidekick. 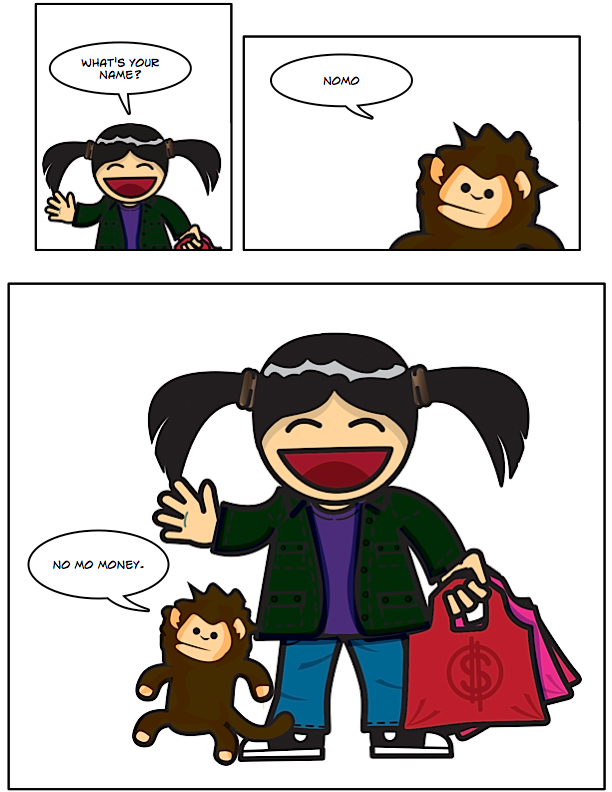 Join Nomo and ABL on their money adventures on their way to financial FREEDOM! Don't forget to check out his side hustle too! Copyright © 2018 AsianBargainLady - All Rights Reserved.